Hampstead Cricket Club (HCC) is celebrating its 150th birthday in 2015. There was a charity dinner at Lords on Thursday night, and other events are planned throughout the year both on and off the Lymington Road ground. 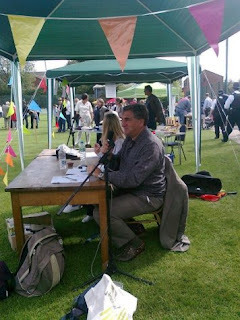 All have been organised by West Hampstead resident and club chairman, Jim Carter, inbetween filming series six of Downton Abbey! Hampstead residents have been playing cricket – or forms of the game – for hundreds of years. They used cleared land on the Heath or any other open space for informal games before clubs were established. In August 1802, 11 gentlemen of Highgate challenged 11 gentlemen of Hampstead to a match, for a purse of 500 guineas. This was a huge amount of money, equivalent to about £40,000 today. Highgate won by 54 runs, noting ‘even betting at the start.’ A few weeks earlier, many of the players had been part of a combined Hampstead and Highgate team that played for the same prize money and beat the MCC (Marylebone Cricket Club – the governing body of cricket as well as a team) by 112 runs. The Hampstead Cricket Club that we know today wasn’t the first to use the name. By 1851, there was a club of that name renting a field north of England’s Lane and membership was limited to 60 players. When the land was built on, around 1870, the club closed or amalgamated. The nearby Eton and Middlesex Cricket Ground was open by 1857. It started close to the northwest slopes of Primrose Hill, but migrated westwards as building crept ever closer. Eventually it covered 16 acres, roughly the western end of the present Elsworthy Road and Wadham Gardens, over towards Avenue Road. As far as we can tell, the St John’s Wood Club that played here became Hampstead Cricket Club. In 1871, the club moved to St Mary’s Fields, open land north of the church of the same name on Abbey Road, and was renamed as the St John’s Wood (Hampstead) Club. 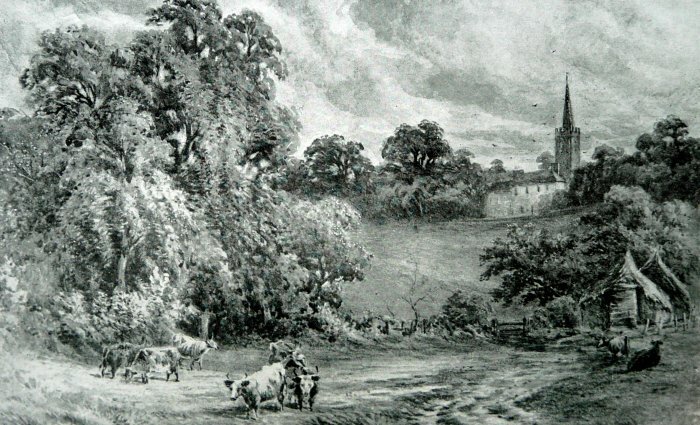 The Club’s new landlords were the Maryon Wilson family, lords of the manor of Hampstead. But when the line of Priory Road was agreed and building plans were made for the land between there and Finchley Road, the club was again forced to leave. They relocated to the present site on Lymington Road in 1877, then described as a cultivated arable field with growing crops of turnips, mangold wurzel, potatoes. The move to West Hampstead – or West End as it was called then – coincided with the adoption of a new name and colours: the St John’s Wood (Hampstead) Club became the Hampstead Cricket Club. The setting was still rural: no Alvanley Gardens, Lymington Road or Crediton Hill, and sweeping views towards the wooded Hampstead slopes. The approach to the new field was improved into a track of sorts, leading from Finchley Road to the cricket pavilion. The £1,000 moving costs included transporting the original pavilion from the pitch on St Mary’s Fields. It was rebuilt in 1879 and enlarged in 1896. A cask of beer should be kept on the ground for the benefit of Members only and it was decided to sell temperance drinks at 4d a bottle and to put up a notice in the booth (at the side of the clubhouse) that no beer or spirits were sold on the ground. With free beer, it’s no wonder HCC was very popular! Over the years, the managing committee considered many schemes for buying the ground, but while the rent was nominal, the asking price for the freehold was always too high. Crunch time came in 1924 with rising land values. That July, the club was given until December to either purchase the freehold or leave. The landlord wanted £18,000 and the club decided to raise £25,000, to allow for necessary improvements to buildings and grounds. With help from generous donations, the money was eventually found and the freehold purchased. Many great cricketers played at the HCC, which established itself as an important London club. Hockey was played until 1894 and tennis courts were built alongside the pavilion. Members held regular social events, including an annual black tie dinner and family sports day. The Highest score on record! On 3 August 1886, a match was played between HCC and the Stoics. At the time, declarations were not allowed and Andrew Ernest Stoddart batted for just over 6 hours, making 485 runs. This was the highest individual score ever recorded at the time – not just at Hampstead, but anywhere ever. His feat was all the more amazing because he’d been playing cards the night before and hadn’t been to bed. Born in South Shields, the son of a wine merchant and colliery owner who moved to London in the 1870s, Stoddart was a very talented sportsman. He played rugby for England and, after joining the HCC in 1885, played 16 Test matches, captaining England in eight games. He played regularly for HCC until 1902. From the time of his marriage in 1906 to 1911 he lived at 24 Crediton Hill, which backed onto the club ground. After dropping out of the limelight, Stoddart suffered from declining health and financial worries. He committed suicide at his Clifton Hill St John’s Wood home in 1915, a few weeks after his 52nd birthday. His wife Ethel told the inquest her husband had lost a great deal of money (he’d been dealing in stocks and shares before war broke out), and was very depressed. Employed as secretary to Neasden Golf Club and then Queen’s Tennis Club, ill health forced him to resign in 1914 and he had not worked since. On 3 May 2015, HCC will hold a match against The Stoics and former England captain Andrew Strauss will unveil a new bronze statue of AE Stoddart. In 1915 the ‘Hampstead Heavies’ trained with their horses on the HCC grounds. Officially they were called the 138th Heavy Battery, Royal Garrison Artillery, which had been formed in the autumn of 1915, with the Mayor of Hampstead spearheading the campaign to recruit 200 men. On 13 April 1916, the Battery embarked for France, reaching Le Havre after a rough crossing. They travelled by train to Bethune. Equipped with 60-pounder field guns each weighing over 5 tons, conditions in the mud were often appalling for both men and horses. The Heavies served in many of the key battles of World War One and suffered considerable losses. Of the men who landed in France with the original Battery, only one officer and about 30 other ranks had survived when the last round was fired in November 1918. For many years matches were played at HCC to raise money for charity. The teams were made up of well known musicians, actors and writers. Many famous stage and film actors took part, such as Owen Nares, who made 39 films between 1914 and 1941. He was a heart throb of his generation. He married the actress Marie Polini and they lived at 29 St John’s Wood Park in the 1930s. As an actor he played officer-and-gentleman roles, and appeared in the first ‘talkies’ version of ‘The Prisoner of Zenda’ (1937). In Hollywood, in the 1930s Smith organised English actors into a cricket team, playing matches on a pitch turfed with imported English grass. He attracted fellow expatriates such as David Niven, Laurence Olivier, Nigel Bruce, Leslie Howard and Boris Karloff to the club as well as local American players. Sir Cedric Hardwicke played in several HCC matches. He made 110 films from 1913 to 1964. One of the great character actors, he was knighted in 1934. He was reputedly George Bernard Shaw’s favourite actor but later Shaw said he was his fifth favourite actor – after the four Marx Brothers! The comedian Stanley Holloway also played for the actors’ team. He appeared as Alfred P. Doolittle in the musical ‘My Fair Lady’ in the West End and Broadway. As a character actor he was in many films such as, ‘Brief Encounter’, ‘Passport to Pimlico’ and ‘The Lavender Hill Mob’. He is particularly remembered for his monologues such as ‘The Lion and Albert’, based on a news item about a boy who was eaten by a lion in the zoo. The annual charity matches were suspended during the two world wars. But the tradition continues today with an annual match of star guests against the first XI to end the season. Jim has commissioned an illustrated full-colour 48 page book about HCC, to which we contributed material on its early history, but as the book says, the club is “celebrating the past and building for the future”. 139 to… Golders Green? TfL plans to shake-up local buses What have I missed since March 2nd?